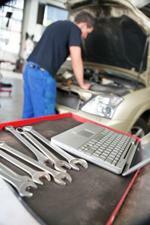 At C&G AUTOS, we undertake all aspects of repair work. From Engine repairs (including Timing Belt replacements), to Steering and Suspension faults, we pride oursleves on being able to fix any problem that you may experience with your car. Making sure your on the road as quickly, and safely as possible. We also carry state of the art diagnostic equipment, enabling us to read fault codes from your cars Engine Control Unit, saving you potentially hundreds of pounds instead of having to go to the main dealer. If you wish to book your vehicle in for a diagnostic check, or any mechanical or electrical repair work, please call us today and we will be more than happy to help you.